Theme parks are where people seek fun, adventure, and escapism. With thousands of theme parks in the world, ever wondered which has the best roller coaster rides? Having worked at USA’s Six Flags (Great Escape) and Universal Studios Singapore, I hereby gather the best coaster rides known to me. I used to fear roller coaster rides as I’m extremely prone to motion sickness, but I’ve since discovered how addictive the adrenaline rush can be. 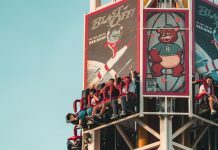 This list includes not only the scariest rides but also some interesting and out-of-the-ordinary rides that you will want to include in your bucket list of roller coasters. 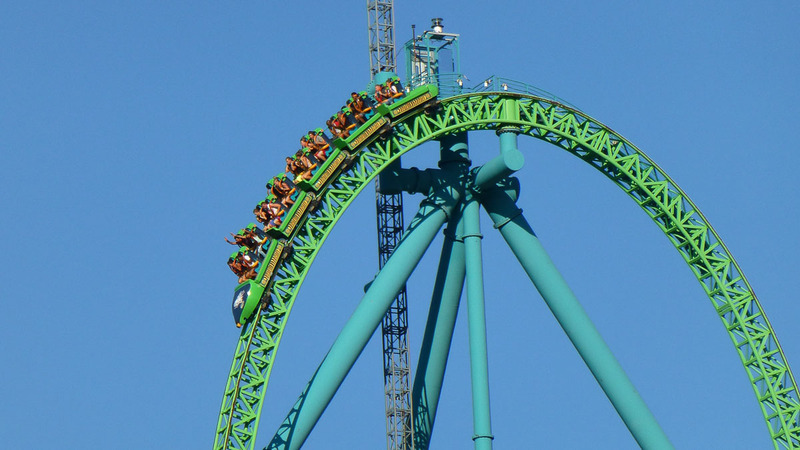 1) Kingda Ka — Six Flags Great Adventure, New Jersey, United States of America. At 139m, this steel accelerator roller coaster is not only the tallest coaster in the world, but also held the record for being the fastest coaster from 2005 to 2010. The hydraulic launch of Kingda Ka accelerates the train from 0 to 206km/hr in just 3.5 seconds, shooting the train vertically upwards at 90º to a height of 139m before taking a drastic descend vertically down at 270º. 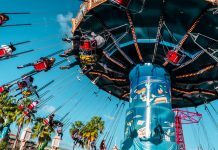 The whole ride lasts for 50 seconds, which could either be the best or the worse 50 seconds depending on your liking for height and speed. With a G-force of 5, Kingda Ka is truly not for the faint-hearted. 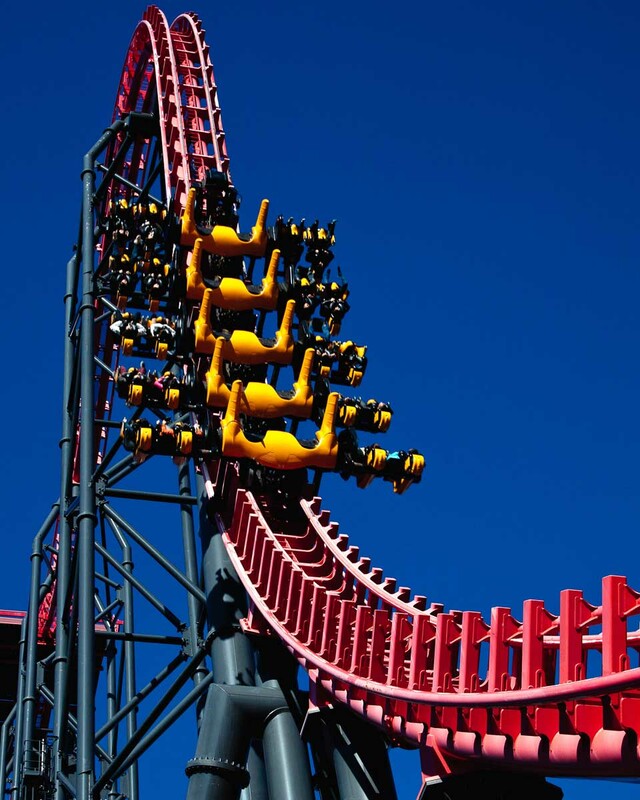 2) Nitro — Six Flags Great Adventure, New Jersey, United States of America. Credit: Jonathan Hawkins. Nitro roller coaster. 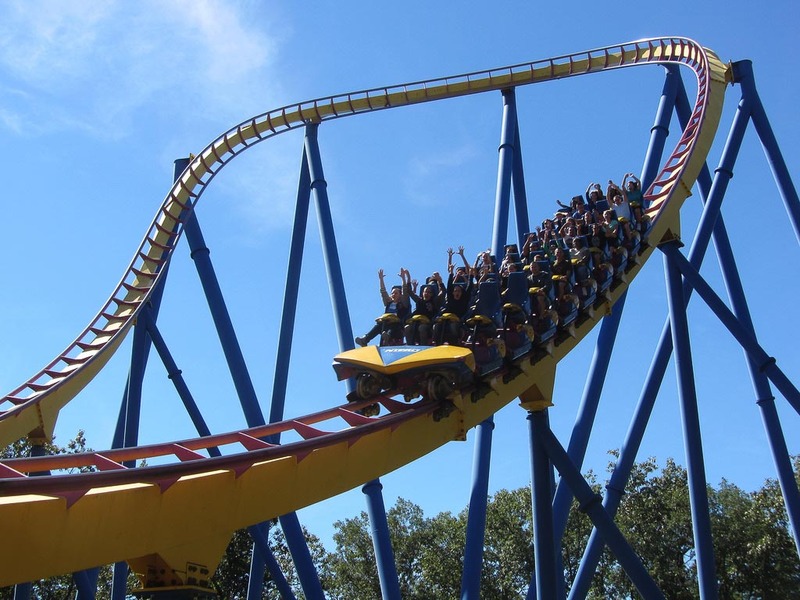 Nitro, another star of Six Flags Great Adventure, is a hypercoaster that has been captivating hearts of adrenaline junkies since its launch in 2001. Hitting a maximum speed of 130km/hr at a drop height of 66m, it puts riders through a G-force of 4.3g. The scary part isn’t just the speed or height, but the fact that there’s no shoulder harness for the ride. The only harness Nitro has is a lap bar restraint without much grip for riders to hold on to. The fear of being flung during the ride is real. It definitely is the scariest roller coaster ride I have been on, and I have no intentions of ever getting on it ever again. 3) Gravity Max — Lihpao Land, Taichung, Taiwan. 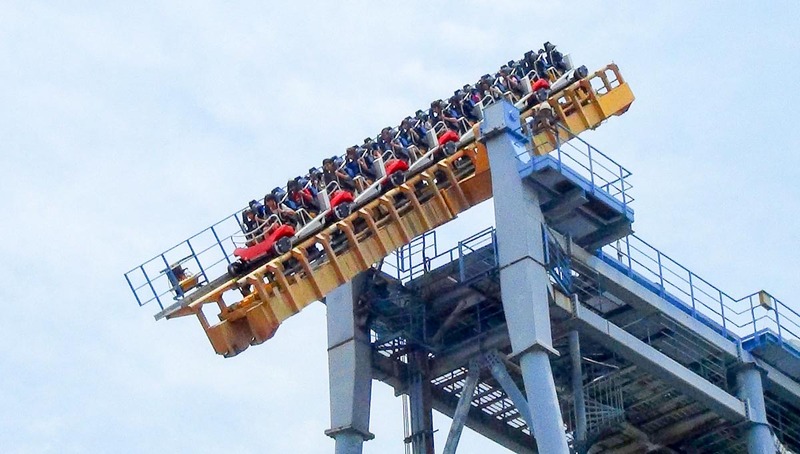 Operating since 2002, Gravity Max in Lihpao Land remains the world’s only tilt (off-track) coaster today, and is even touted the “scariest roller coaster in the world”. Have you had that nightmare where you are on a roller coaster when the track disappears halfway, leaving the coaster zooming off into the air, then ultimately crashing down back to the ground? Yep, this is how being on Gravity Max feels like. A section of the track hangs riders over a 13 story vertical drop, before tilting at 90° and connects to the rest of the track, sending the riders off to continue their ride at a g-force of 4g. 4) T-Express — Everland, Seoul, South Korea. 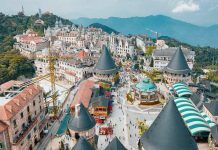 Credit: Everland Resort’s pinterest. T-Epxress Roller Coaster. Before manufacturers started making steel roller coasters, the thrilling rides were made from wood. The once iconic structure in almost every American amusement park, wooden coasters are facing a decline due to high maintenance fees and restrictions such as no inversions and height limitations. 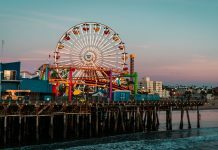 However, if you want to experience a wooden roller coaster, you do not need to go far, as the 4th tallest wooden roller coaster in the world is located in Asia. The T-Express, launched in 2008, is located in Everland, South Korea’s largest theme park. 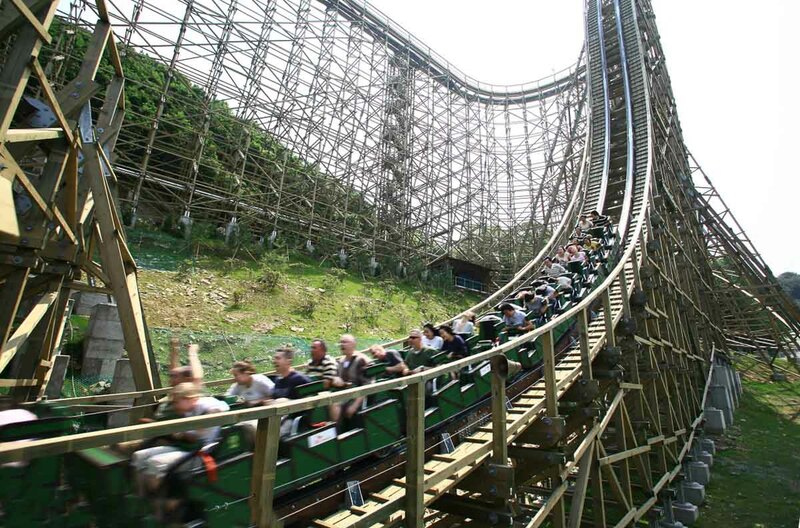 It also pushes boundaries of wooden roller coasters with a 77º drop. 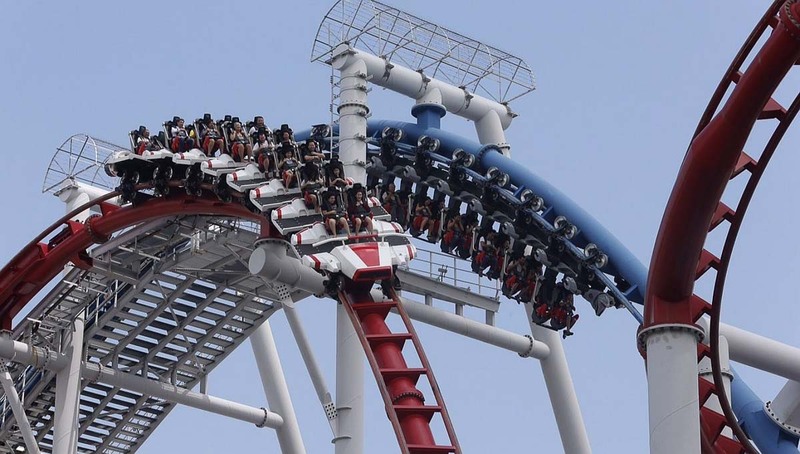 5) Battlestar Galactica — Universal Studios Singapore, Singapore. Credit: Straits Times. Battlestar Galactica. 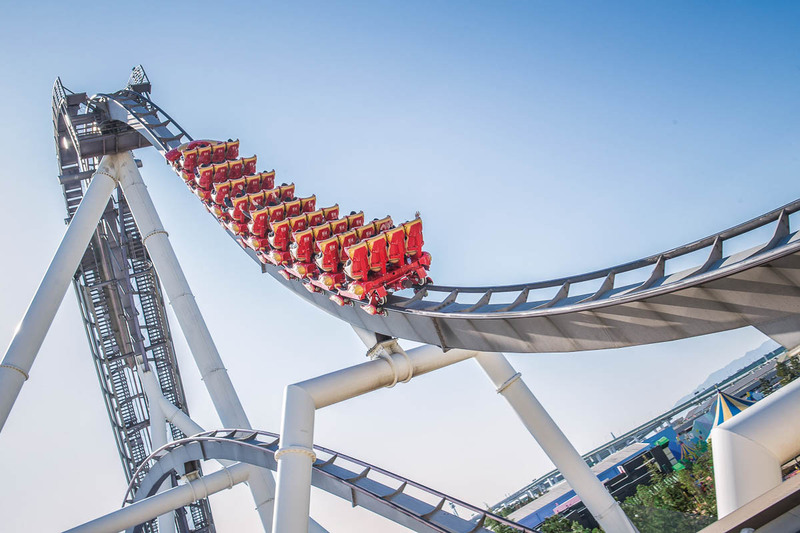 Holding the record of the tallest dueling coasters in the world (at 42.5m), Battlestar Galactica (BSG) is a two-tracked coaster designed to do just as the name indicates – to duel. BSG’s two coasters, Cylon and Human reach top speed at 82km/hr and 90km/hr respectively. Thrill seekers spend up to 120 mins waiting in line to take this exhilarating ride. Which coaster do you prefer? For me, it’s Cylon! 6) Hollywood Dream -The Ride- Backdrop — Universal Studios Japan. Credit: Baicheng.com. Hollywood Dream – The Ride – Backdrop. As its name suggests, this roller coaster runs backward! Precisely the thrill, riders will have no idea where they are heading to at a speed of 90km/hr. While riders are unable to see or predict when the coaster will go over a camelback or an acute turn, one thing they are guaranteed is the magnificent views of Osaka city — if they keep their eyes open throughout the ride, that is! With an average waiting time of 162 mins, the popular Hollywood Dream Backdrop is a definite must-do at USJ! 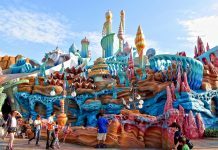 For other amazing rides at this famous theme park in Osaka, check out our Ultimate Guide to USJ! 7) Harry Potter and the Forbidden Journey — Various Universal Studios Parks. Credit: Los Angeles Times. Harry Potter and the Forbidden Journey. Whether a fan or not of the Harry Potter series, you will definitely enjoy the Harry Potter and the Forbidden Journey ride. 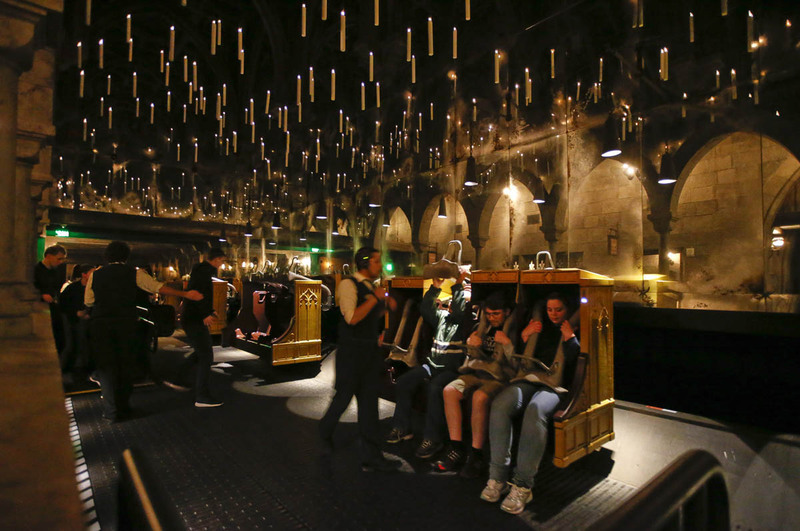 This new state-of-the-art coaster ride can be found at the Wizarding World of Harry Potter themed areas of Islands of Adventure in Orlando, Universal Studios Hollywood, and Universal Studios Japan. Riders are taken through scenes within the Hogwarts Castle, the primary setting of the Harry Potter series. Unlike traditional roller coasters on tracks, this scenic dark ride has seats being held by a robotic arm instead. The ride spins, twists, turns and drops while bringing riders through a very cinematic experience. Almost like watching a movie, but more intense and exciting. No surprise that people wait up to 120 mins to take this ride! 8) Eejanaika — Fuji-Q Highland, Japan. Credit: Adam Gulkis. Eejanaika Roller Coaster. A “4th Dimension” coaster, Eejanaika has seats that can rotate forward or backward 360º in a controlled spin, on top of the turns and twists of the roller coaster ride itself. Hitting a maximum speed of 126 km/h, Eejanaika is not only fast, but also holds the record of having the highest number of spins for any roller coaster of the same kind. Probably the closest anyone can experience how being trapped in a washing machine feels like. For the ultimate roller coaster’s heaven, check our Fuji Q Highland Guide for more crazy roller coasters. 9) 10 Inversion Roller Coaster — Chimelong, Guangzhou, China. Credit: JayCee087 Pinterest. 10 Inversion Roller Coaster. 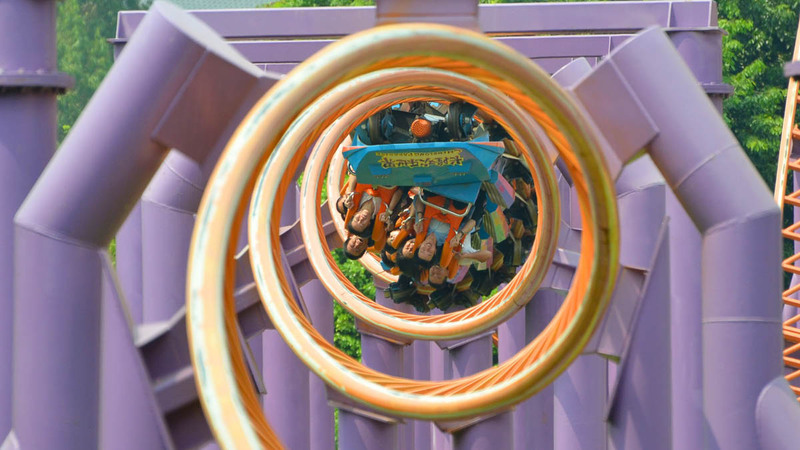 If you prefer roller coasters that spin to coasters that plunge, you’ll love the 10 Inversion Roller Coaster. 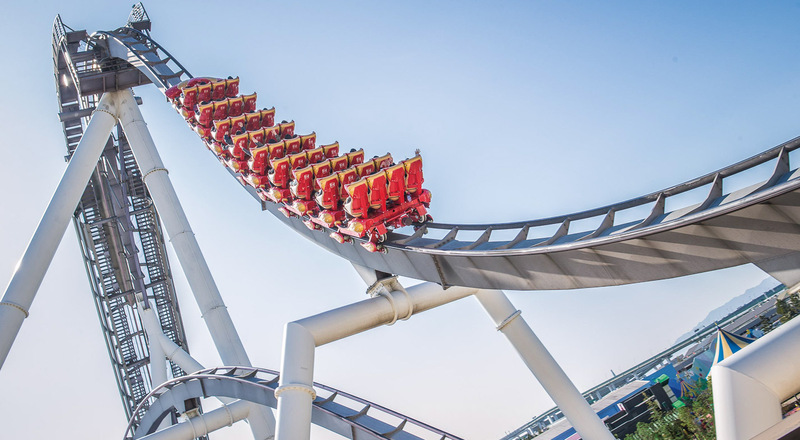 Located in Chimelong Paradise, the largest amusement park in China, it was the record holder for having the most inversions (ten) on a roller coaster from 2006 to 2013. I feel nauseated just thinking of how many inversions there are! Credit: The Studio Tours. The Return of Mummy: The Ride. 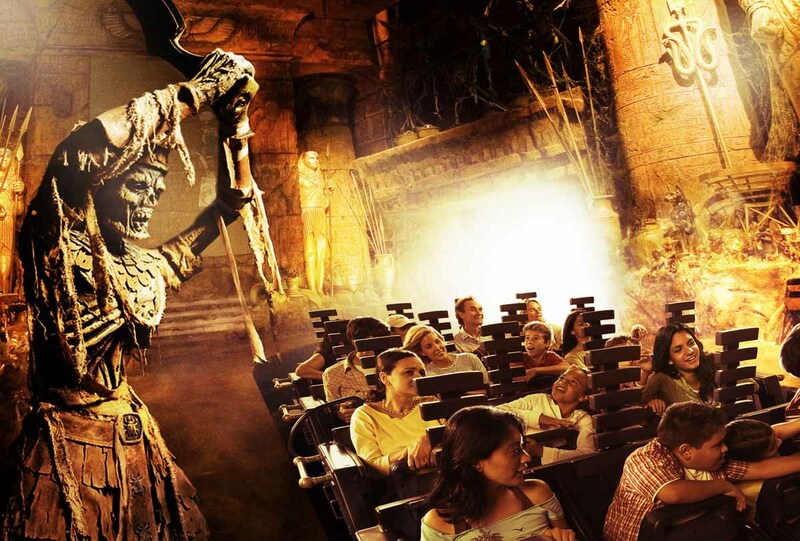 Although not the newest or most thrilling enclosed roller coaster, the Revenge of the Mummy: The Ride is one of my favourites. Enclosed roller coasters are basically indoor roller coasters, such as the Space Mountain at various Disney parks. Sharp turns, sudden plunges and reverses are what that makes the Mummy Ride an extremely loved one by thrill seekers. The sound effects, together with special elements such as fire and water, give riders a 4D experience. This ride can be found in Universal Studios parks of Florida, Hollywood, and Singapore. 11) Space Fantasy – The Ride — Universal Studios Japan. You know the future is here when there’s Virtual Reality (VR) blending fantasies into reality. 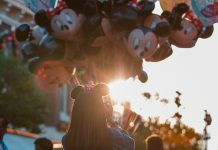 Theme parks have jumped onto the VR bandwagon, introducing VR rides and incorporating technology to make roller coaster experiences even more extraordinary. The world’s first roller coaster dedicated to VR opened in 2015, and now there are about forty rides that are fully VR or supports VR usage. 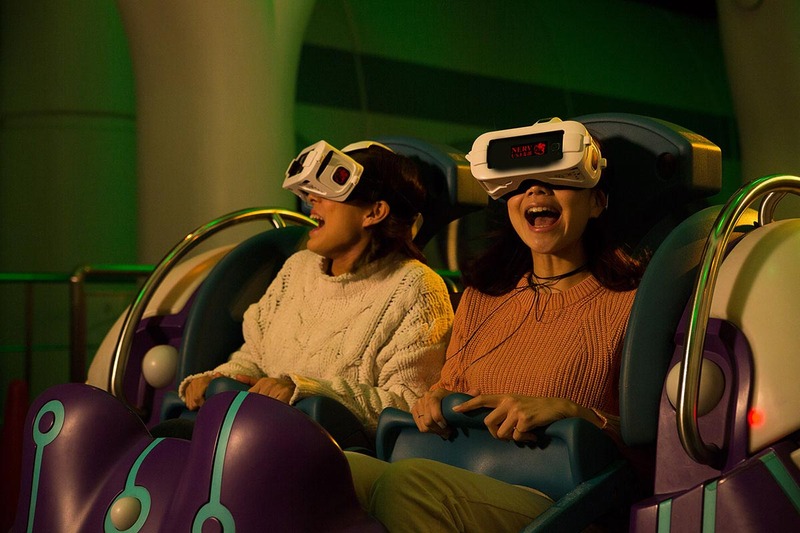 The Space Fantasy in USJ now comes with VR headsets displaying synchronised videos, providing an alternate reality to riders through the headsets. Not only is VR a fresh idea, it also provides endless possibilities of visual experiences riders can have on roller coaster rides. USJ has since introduced 4 new VR rides in their Universal Cool Japan section in 2018. Read our review on the link below!